Whilst we are processing all that has happened in the last 3 weeks – think hospital admission (M), 11th birthday (G), 15th wedding anniversary (Mike and me), Carol services x 4 and metres of wrapping paper – I thought I’d share some quick snaps from a Christmas project that M undertook before he headed into GOSH. 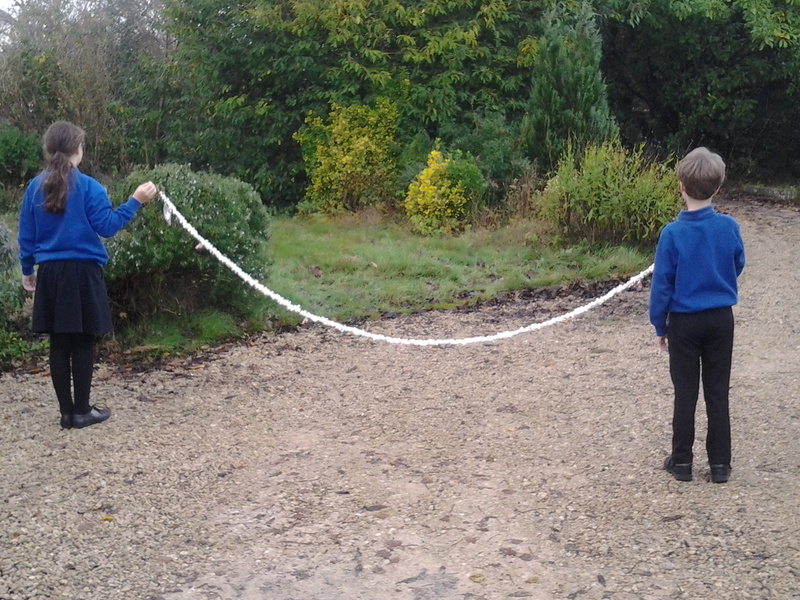 The challenge came from school – to create a unique Christmas tree decoration for a competition – and M knew exactly what he wanted to make. A couple of weeks earlier, we had been watching a Christmas film (don’t ask me which one as I honestly have absolutely no idea, other than it starred Tori Spelling and was loosely based on the Dickens classic “A Christmas Carol”) and he had been fascinated to see the children threading popcorn into a garland to hang onto the tree. 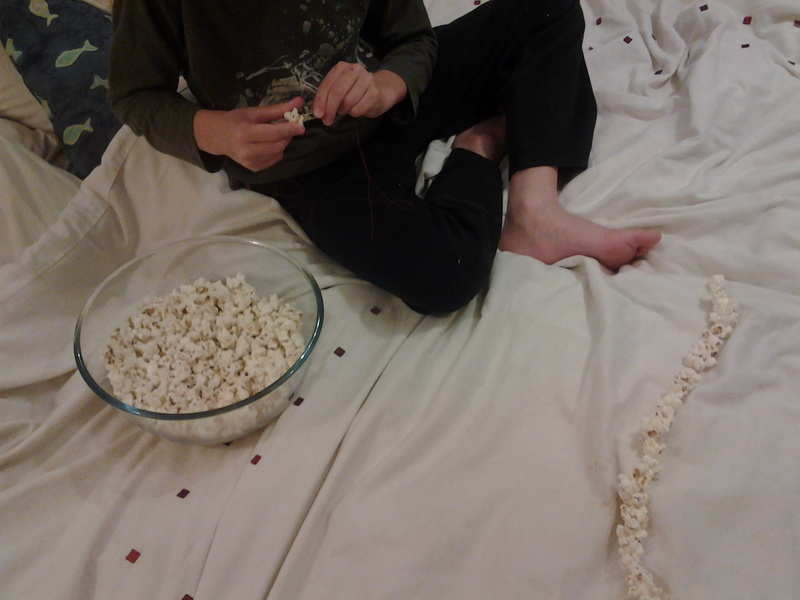 He was adamant that this was what he wanted to make for the school competition, so Mike popped a saucepan of corn kernels and M and G sat down at the coffee table to start their threading. Bedtime arrived quickly and M asked if he could continue the job upstairs once he was ready for bed. As M is rarely asleep much before 11pm on any given night, I swiftly agreed, knowing that this would be a great activity to keep him occupied and stop him bothering G too much, as well as a sneaky way to get another finger exercise to improve his fine motor skills into his day. 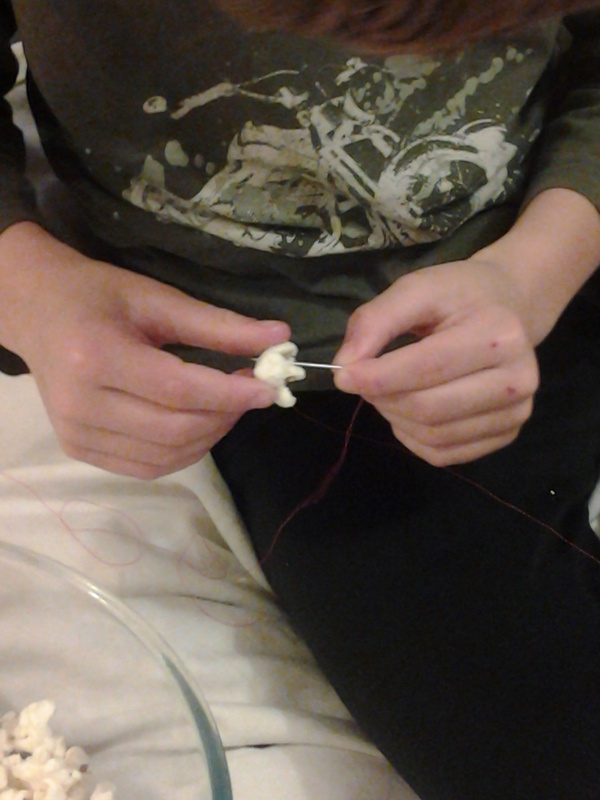 Whilst M was upstairs threading his garland, I was downstairs looking for simple instructions on how to make loom band candy canes to add an extra festive twist. Six feet and six candy canes later, the garland looked amazing and M was proud to enter it into the competition. 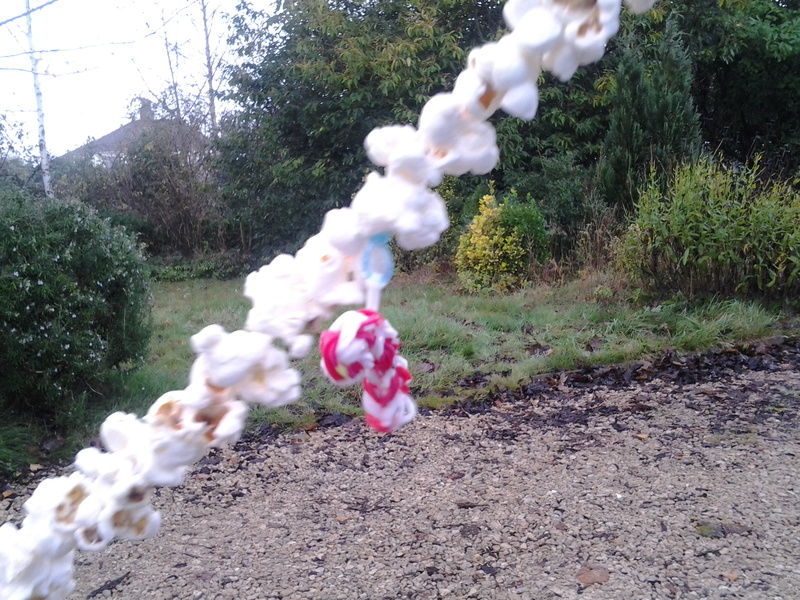 This entry was posted in General and tagged candy canes, Christmas, Christmas decorations, Dyspraxia, Food, food allergies, Google, GOSH, Great Ormond Street Hospital, holidays, loom bands, occupational therapy, parenting, popcorn, popcorn garland on December 22, 2014 by bluesingingdragon.